The jeweler wanted something more fun than the standard Rolex copy, without straying too far from the brand’s stiff-upper-lip tone. The direct descendant of the timepieces worn by Sir Edmund Hilary and Tenzing Norgay on the first ascent of Everest. 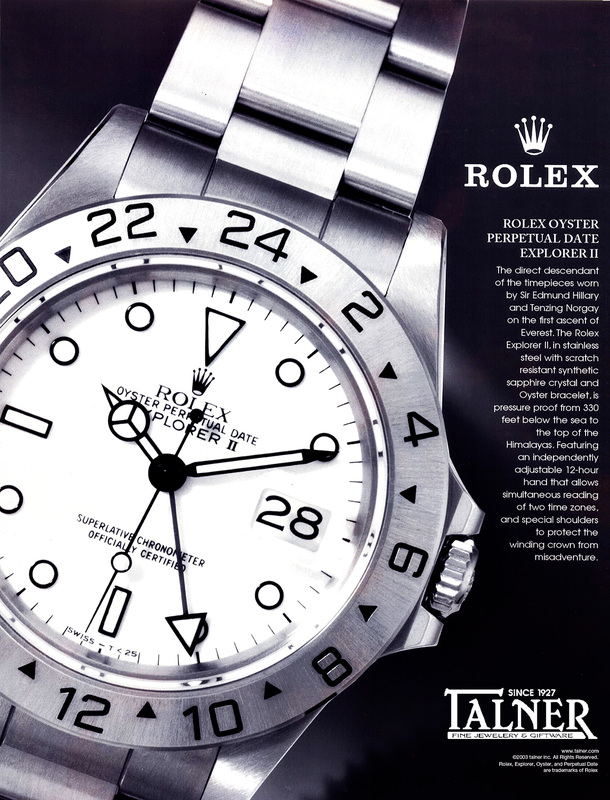 The Rolex Explorer II, in stainless steel with scratch-resistant synthetic sapphire crystal, is pressure-proof from 330 feet below the sea to the top of the Himalayas. Featuring an independently adjustable 12-hour hand for simultaneous reading of two time zones, and special shoulders to protect the winding crown from misadventure.